Rusty Scupper - Select Restaurants, Inc. If you haven’t dined with us, you haven’t seen Baltimore. From the city’s best brunch to a business lunch, a great night out to one of life’s most important moments, trust them all to the magical view, amazing food and attentive staff of the Rusty Scupper. Located above the Inner Harbor Marina, the Rusty Scupper rises three levels above the water and can boast a beautiful view from every table. This full-service contemporary seafood restaurant and bar serves lunch, dinner and Sunday live-jazz brunch. Located in a dramatic free-standing building with superb private function spaces, the Rusty Scupper offers exceptional waterfront views. 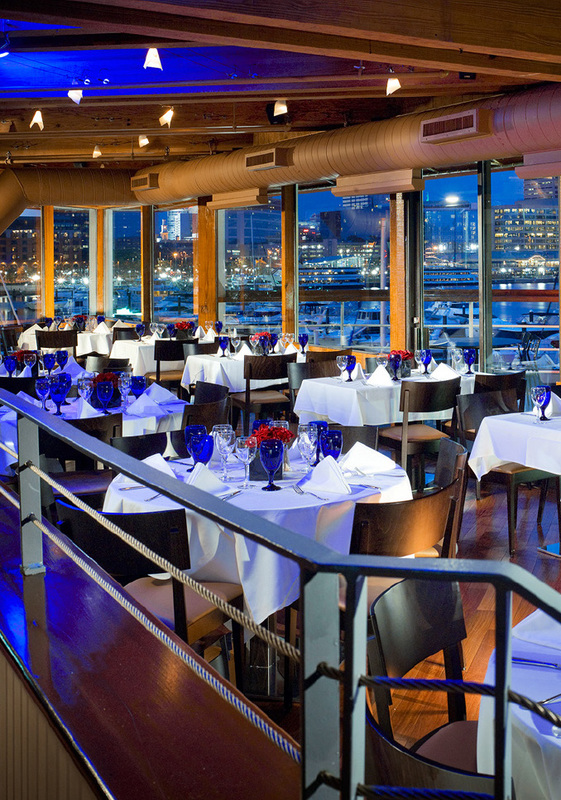 The Rusty Scupper’s large 270-seat open dining room, 75-seat bar lounge and 142-seat upper deck with outdoor patio afford guests dramatic, sweeping views of Harborplace, the Inner Harbor and Fells Point. Guests can relax and enjoy live piano entertainment and the region’s highest quality fresh seafood, seasonal cuisine and attentive service at this distinctive waterfront restaurant.